Dr. Daniel Keel is a radiologist who graduated the medical school from the University of Tennessee College of Medicine in 1956. He completed his internship program at the Erlanger Medical Center and his residency at the VA Medical Center. Dr. Keel is now specialized in radiology and board certified in diagnostic radiology. 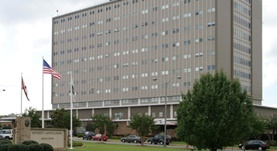 He is also affiliated with the University Of South Alabama Medical Center.